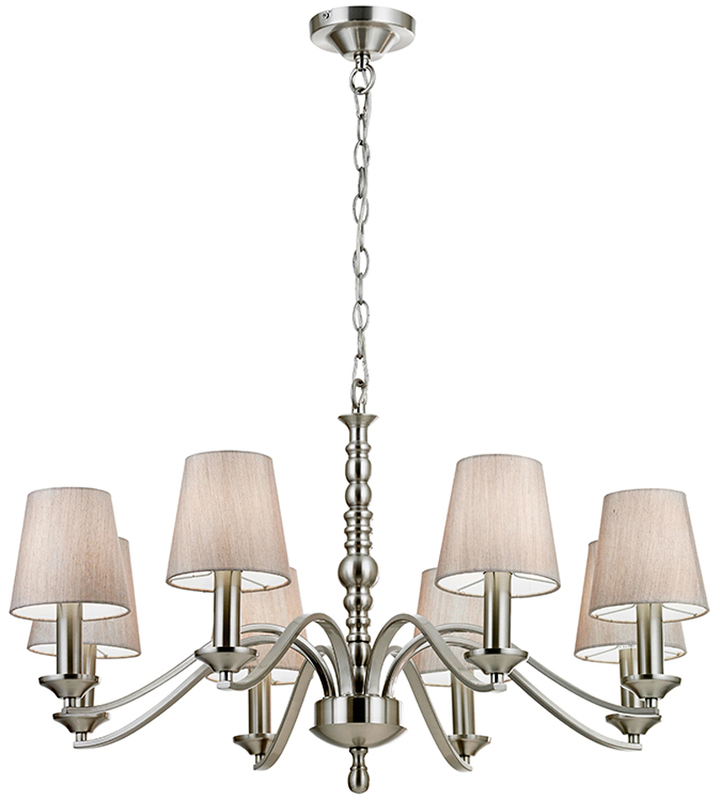 From the Astaire range of classic chandelier lighting products. 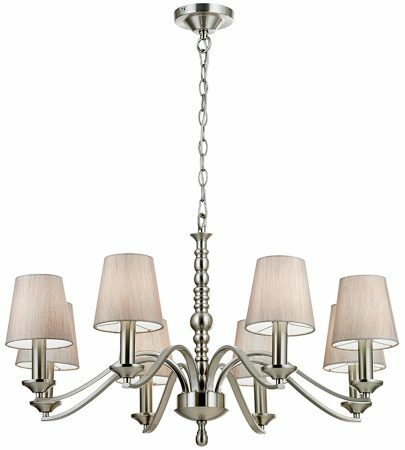 Eight satin nickel finish curved light support arms, each holding a delicate pleated tapered fabric shade and suspended from a matching satin nickel chain and central body. A favourite choice for the traditionally themed home that looks equally as stunning when used without the supplied light champagne tapered fabric shades. Height adjustable at the time of installation to a minimum height of 465mm and to a maximum drop of 1520mm.